Canberra Gardening identity and ABC Weather Presenter, Mr Mark Carmody was in fine form today for the launch of the 10th Edition of The Canberra Gardener yesterday. Complete with lapel adorned with the trademark flower – a Rhododendron no less. Mark informed the audience that this was a special occasion and he was both humbled and privileged to have been invited to launch the 10th Edition of The Canberra Gardener. It was a book and a passion that was very close to his heart. I was amongst the audience at the launch and it was indeed a privilege to be present. 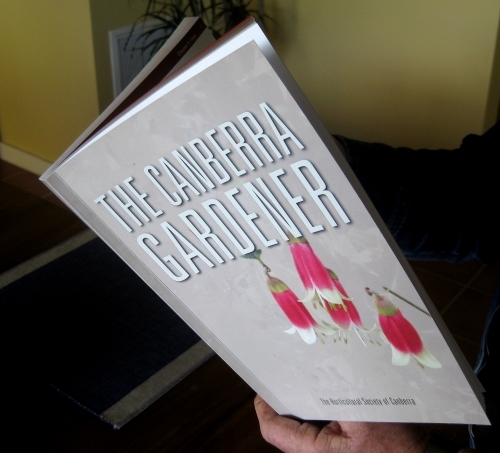 This was apparently the first time in 63 years that The Canberra Gardener has ever been officially launched!!! And what better person to launch The Canberra Gardener than Mark Carmody!!!! 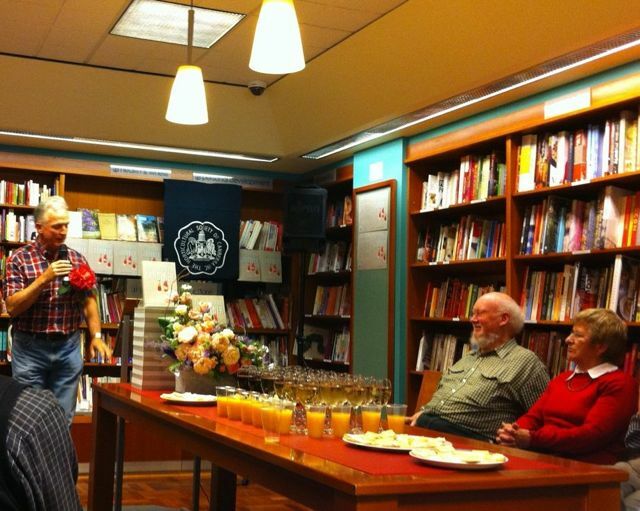 The Paperchain book store in Manuka generously hosted the launch. The store was full of people passionate about gardens and gardening. Mark engaged the audience with a diverse range of stories and enriched the launch beautifully. Mark lamented that The Canberra Gardener has been an ongoing reference for him since the time he commenced his Gardening career. The audience wholeheartedly agreed with Mark’s suggestion that every household should have a copy of The Canberra Gardener on their bookshelves. In fact, the ACT Government should donate a copy to every Canberra household. What a magnificent gift for those newly arrived to Canberra!!! There is no other town or city in Australia with a book like this. The Canberra Gardener is unique and has filled the niche in Canberra since 1948. It is fitting that the 10th Edition of The Canberra Gardener should be launched in 2010, a time when gardens, especially edible gardens are becoming so important and popular. This latest edition is beautifully formatted and laid out. The content is beautiful, clear with a lovely balance of detail. The Horticultural Society of Canberra has also gone to great effort of ensure that The Canberra Gardener was published and printed locally in Australia on recycled paper. At $25.00 a copy it’s great value. Do yourself a favour and buy a copy before it sells out.